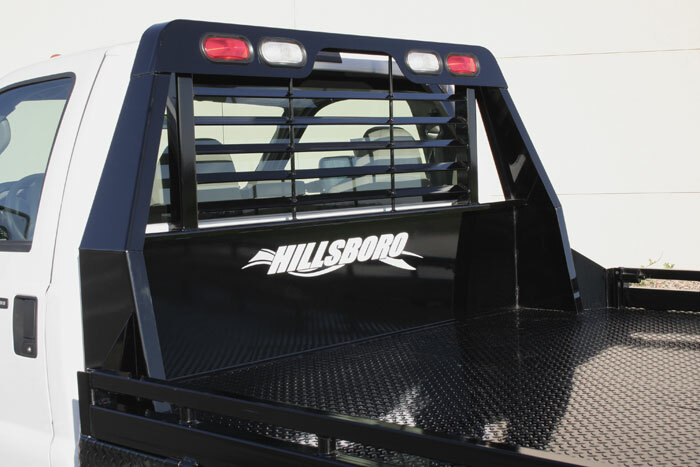 Experience the next generation in Hillsboro Steel Truck Beds with their rugged construction, innovative features and superior quality. 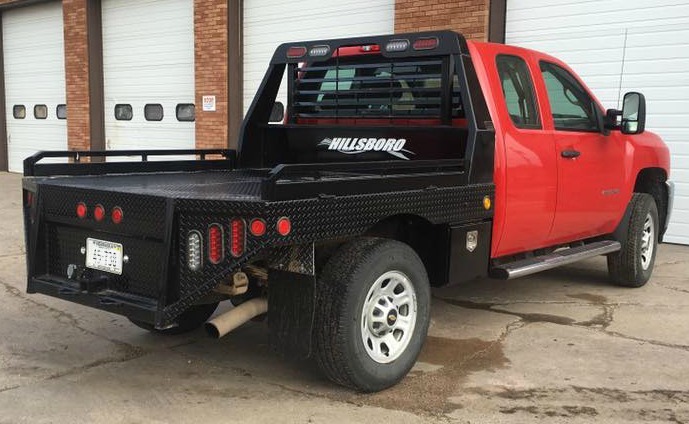 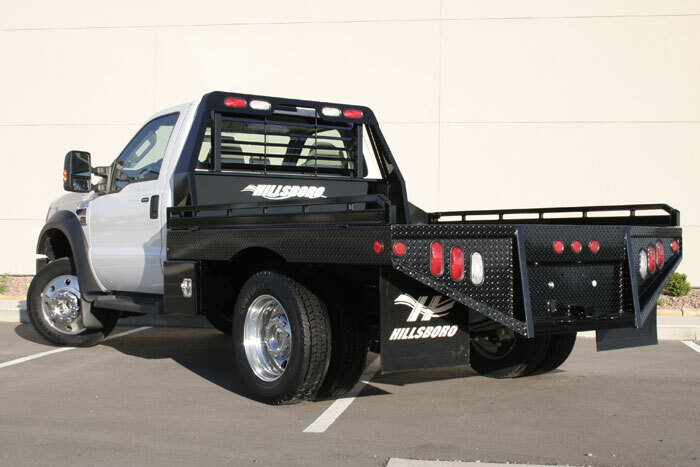 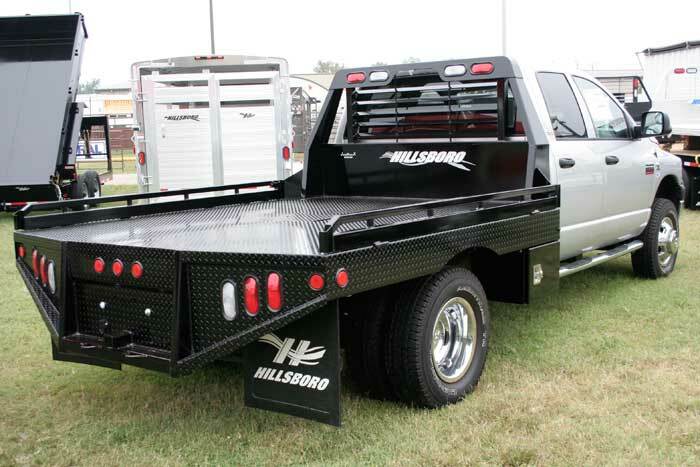 The new G II Hillsboro Steel Truck Beds offer the ultimate in quality features and options. 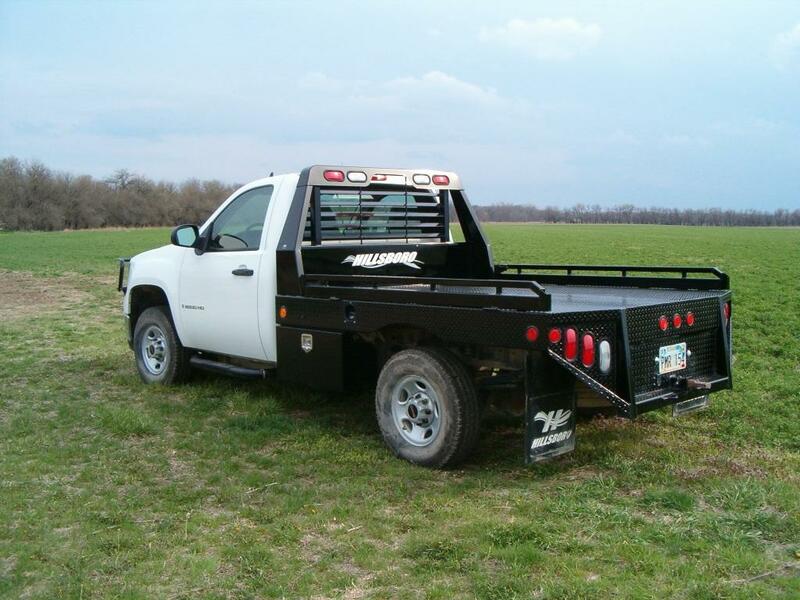 Stake pockets and tie rails let you secure loads quickly and easily. 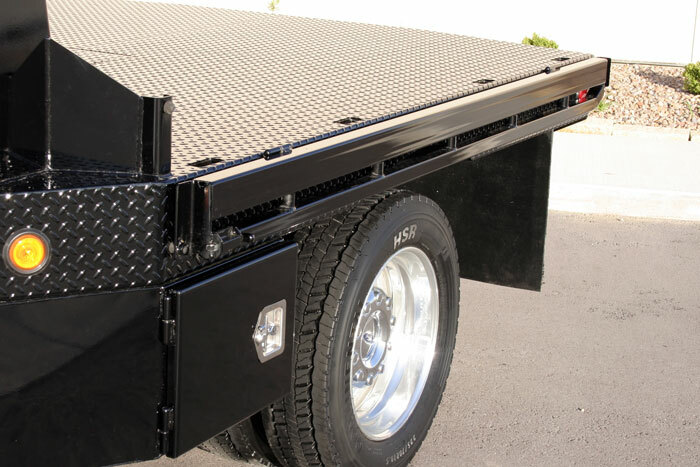 The PPG epoxy primer and polyurethane paint finish provide enhanced aesthetics and service life. 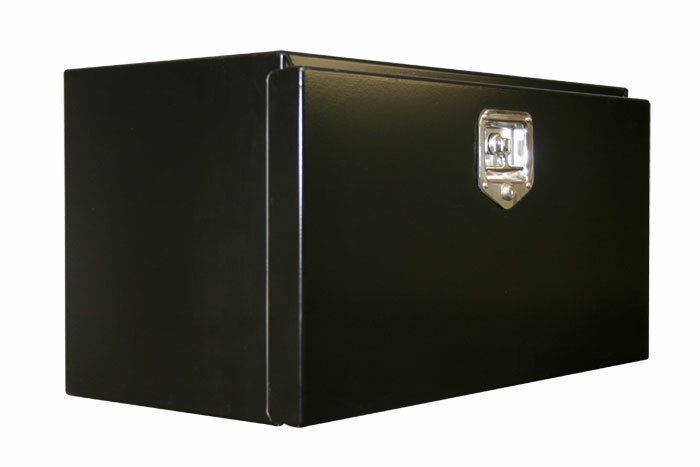 Optional, weather-resistant toolboxes add protected storage for tools and other equipment. 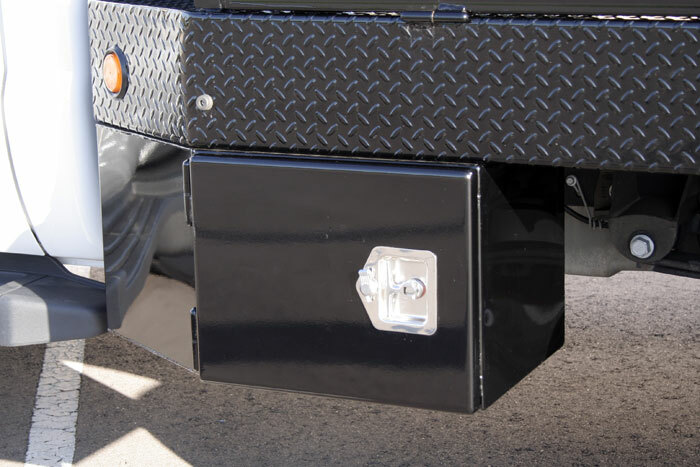 Constructed from 14-gauge steel with a 10-gauge steel door, the box features a locking, stainless steel t-latch and recessed door with weather seal and greaseable hinges. 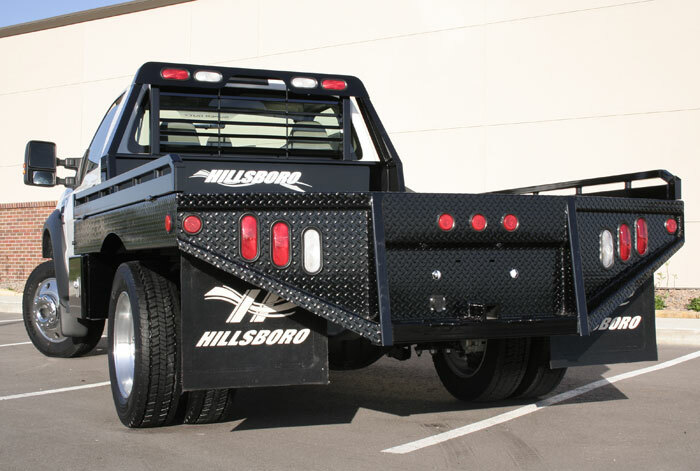 Width: 80" & Length: 84"
Width: 80" & Length: 102 "
Width: 80" & Length: 112 "
Width: 88" & Length: 112 "
Width: 88" & Length: 136 "
Width: 96" & Length: 102 "
Width: 96" & Length: 112 "
Width: 96" & Length: 136 "